This project saw Springfield Public Schools and the school board united from the outset under a strong and clear vision. This vision, established during the development of the Education Specifications, remained vital throughout the project and motivated every subsequent design decision. 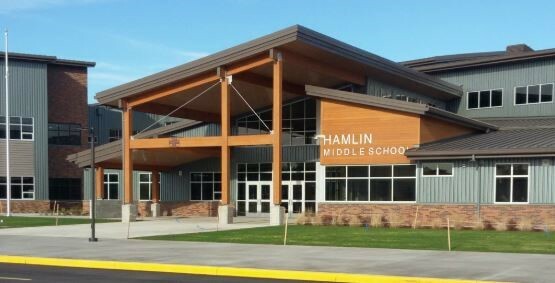 The resulting Hamlin Middle School is a treasure for the City of Springfield—prized by the school district and the community alike—and reflects the legacy of its thriving mill and logging industries. The highly-visible structure has garnered a sense of pride, inspiring immediate and profound respect for the facility by students and faculty. A concept crucial even at early design conversations, the District's Design Team advocated for the STEAM Curriculum to be a driving force in the layout of the school. This intention is evident in the final product, namely in the placement of maker spaces within each of the three classroom wings, and the STEAM Lab located in the Electives wing. 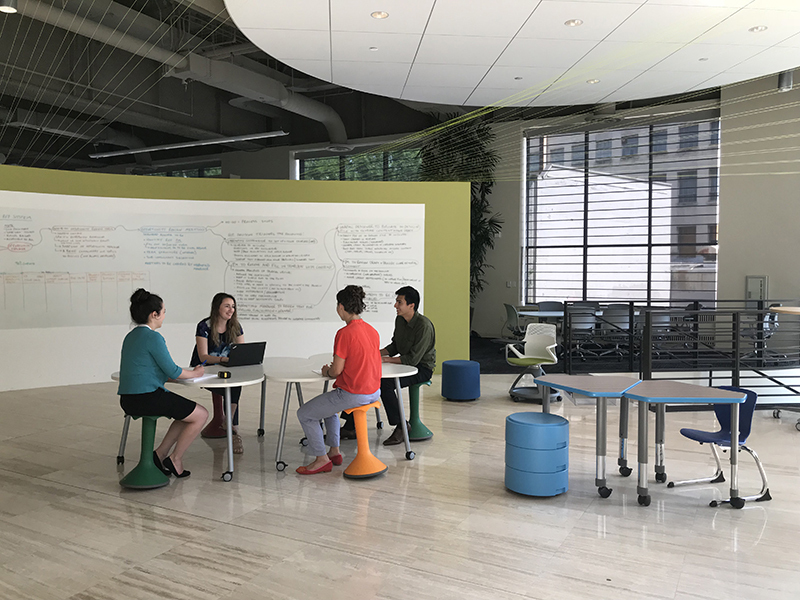 Collaboration and small group meeting rooms are situated around campus so students can team on project-based learning opportunities. flexible, project based learning space. Fairview Elementary School provides district planners insights and inspiration for the development of cost-effective yet warm, flexible and functional high performance school facilities. Developed via a modified prototypical design process that encompassed a broad cross-section of district, school and community stakeholders, Fairview illustrates the benefit of standardizing learning spaces – providing program and amenity parity across diverse communities – while providing the opportunity to tailor facility design to the unique character and needs of individual schools and neighborhoods. The learning pod design, organized by grade level, provides the means of breaking down scale for this 72,000 SF, 600-student school, offering a personalized learning experience for elementary students while maintaining connection to the larger school community. As the first elementary school in Oregon to register for Energy Trust of Oregon's Path to Net Zero program (along with its companion schools, Wilkes and Troutdale) Fairview Elementary demonstrates that meaningful energy efficiency and resource conservation strategies can be cost-effectively integrated into the planning and design processes without significantly elevating project construction costs. As a long-standing and central fixture in community life, Fairview's design honors history and legacy through an authentic use of exterior materials and an interior design that accommodates shared community use. The integration of an original 14' x 44' mural depicting uniquely local community elements, history and the surrounding geography inspires pride of place in students, teachers, staff and visitors. 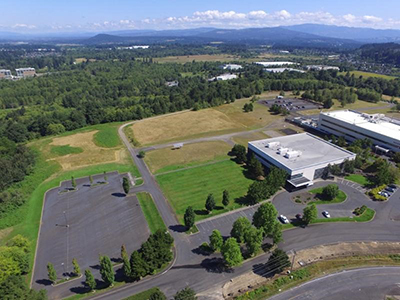 Troutdale Elementary School provides district planners insights and inspiration for the development of cost-effective yet warm, flexible and functional high performance school facilities. Developed via a modified prototypical design process that encompassed a broad cross-section of district, school and community stakeholders, Troutdale illustrates the benefit of standardizing learning spaces – providing program and amenity parity across diverse communities – while providing the opportunity to tailor facility design to the unique character and needs of individual schools and neighborhoods. Join us for happy hour after the tour! The Woodburn Success High School is an alternative education program serving Woodburn School District students in grades 10 through 12. Students at Success complete the same high school graduation requirements as the students attending any other Oregon high school and earn a standard high school diploma. The school opened in 2018.
of 185th and Farmington Road, near the Aloha locations for Monkey's Subs and Albertsons. One complimentary drink ticket included! 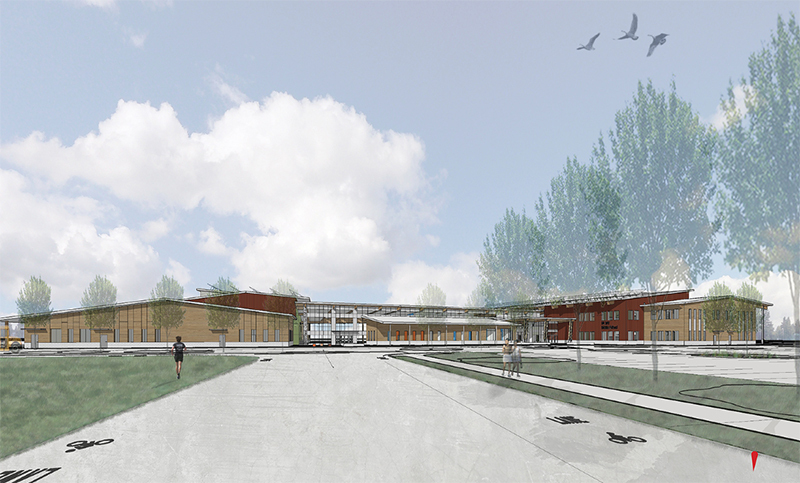 Hazedale Elementary school is a 88,700sf school designed for 750 K-5 students in Beaverton School District. The school is one of four prototype schools designed for Beaverton. The design of the school spaces create both equity and equality for all students and a model for customization within a prototype design. The first hour of the tour will focus on a physical walkthrough of the school. The remaining time will focus on a discussion about the prototype process, how it played out at other the other locations and the differences in delivery methods between the projects (cost, quality, schedule, teamwork, etc). It's the Holiday Season! 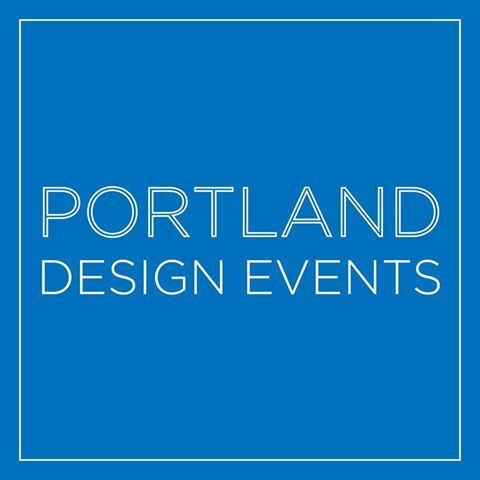 The Portland Chapter of CSI, DoCoMoMo, OAPA, A4LE Oregon/SW Washington, ASHRAE, ASPE and Portland Design Events would like to invite all Emerging and Existing Professionals to an Ugly Sweater Party. A chance to kick back and relax, and get to know some of the other professionals in the industry. Swap war stories and share some laughs! Prizes for Ugliest Sweater, Most Creative Sweater, and More! We will be collecting new socks, scarves, hats for Cityteam Ministries. Anyone who brings socks, scarves, or hats will be given an extra drink ticket! $500 Drink Sponsor – SOLD OUT! $500 Venue Sponsor – SOLD OUT! Admission includes (1) drink ticket, appetizers, and entry into the Sweater Competition! Register now, max tour size is 60 people! This school is under construction. All participants need to fill out the waiver and bring it with them. Full PPE is required (hard hat, gloves, vest, eye cover/eyeglasses, appropriate footwear, sleeves, pants). No on-site parking, please allow time to find street parking. 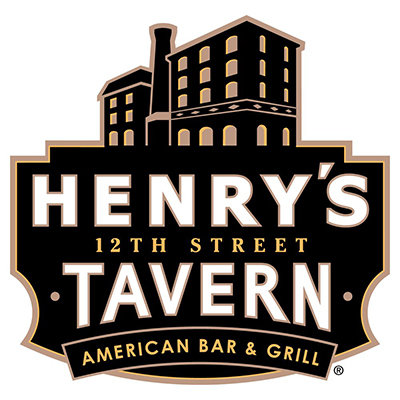 Directly after the Grant HS tour, please join us at the Kennedy School Boiler Room pub for a post tour Happy Hour! This casual event will give us time to discuss the Grant modernization, socialize with other A4LE members, and receive an update on the annual 20 Under 40 conference coming up in April. A brief recap of last years 20 Under 40 conference will also be provided. If you RSVP’d for the tour you will receive one drink ticket good for a beer, wine, or cider. 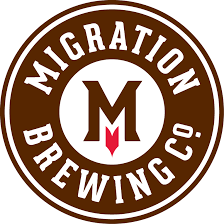 The Kennedy School is located at 5736 NE 33rd Ave, Portland, OR 97211 and an Oregon/SW Washington A4LE Board member will be located at the front entrance of the pub to direct you to the reserved area. While the environmental footprint of new construction dominates the discussion about sustainability goals, the successful reuse of existing facilities provides the biggest impact in regard to resource preservation. 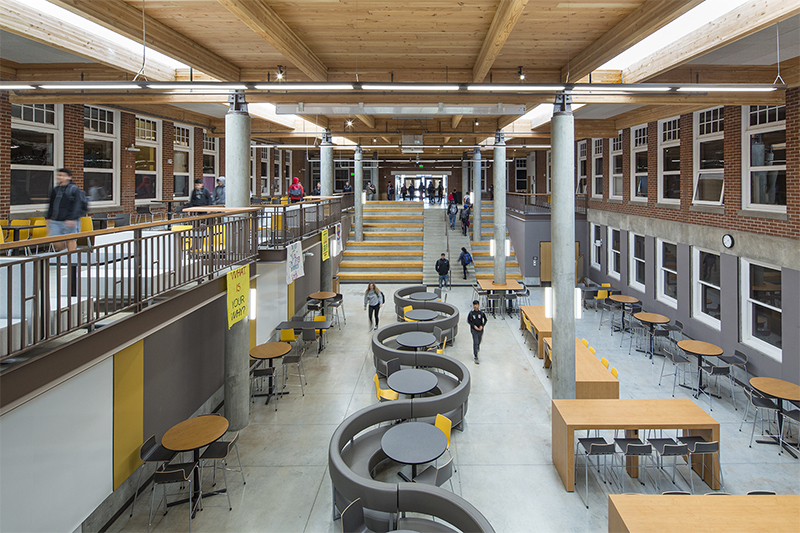 The Grant High School modernization exemplifies how the reuse of an existing structure can result in an effective high school learning environment that is not compromised, but instead enriched by its historic structure and character. Originally designed in 1923 in the typology of a double loaded corridor, the new design simply adds a 30-foot, three-story bay to the west side of the existing structure and stretches the circulation space to a width that can comfortably accommodate a central row of day-lit, open, enclosed, single-story, and multi-story resources for learners and educators. In addition to providing additional space, this three-story addition with an open central stair, and tiered multi-story gathering spaces flanked at either end, has transformed a school that has struggled with limited to no daylight to 30% of its learning environments in five disparate inaccessible basement levels, into a unified, collaborative, and cohesive environment. Increasing the compactness of the original footprint and linking all spaces on the lower level creates a continuous three-story learning environment where everyone feels connected and in close proximity to both the outdoors and each other. At the same time, the external relationships between the school and neighborhood communities are restored by removing structural barriers which have severed this external connectivity since the 1950's and brings the heart of the school back to the new student-focused center of campus. For the first time in decades the community can relate to and enjoy the facade of the original 1923 gymnasium, which is the new home of the arts department. 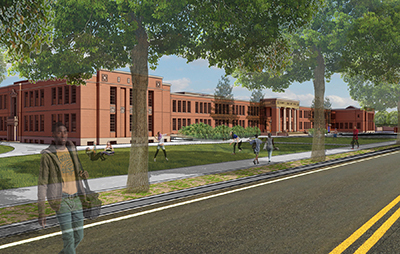 The modernization will propel Grant High School into the future while embracing and honoring its past. In 2015, the Oregon legislature created the Office of School Facilities and provided funds to help school districts across the state address their deferred maintenance issues. 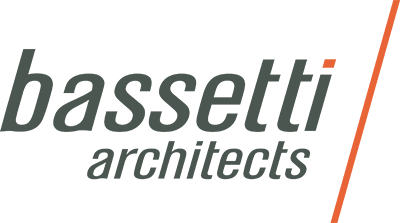 Since that time the Office of School Facilities has awarded $175 million in matching grants through the Oregon School Capital Improvement Matching Program (OSCIM Program) and $4.1 million in technical assistance program (TAP) grants to school districts. Come learn about how these programs work, how they help the districts, what the future holds, and how the Office of School Facilities is working with architects and engineers to help districts create healthy, safe, and warm facilities for their students. The TAP Grant is a great tool for school districts to facilitate capitol planning by providing three separate grants of $25,000 for Long Range Facility Planning, Facility Assessment and Seismic Assessments. The TAP Grant requires the participants to have certified training for the Long Range Facility Planning and Facility Assessments. Oregon Department of Education Assessor Certification and Training is now open for application till October 5, 2018. Certification Training will be open again in late January or early February. Don’t miss this exciting time to learn and ask questions. We strongly encourage Architects, Engineers, School District Facility Directors and Bond Planners to attend this meeting. Michael Elliott has been in charge of the Office of School Facilities since its creation in 2015. The Office of School Facilities is responsible for administering the Oregon School Capital Improvement Program (OSCIM Program) the Technical Assistance Program (TAP), the hardship grant program, and the Healthy and Safe Schools Plans. Michael is a lifelong Oregonian and lives in Salem with his wife Heidi and their five-year old daughter Emily. Come join in an Open House to view new concepts in school furniture design. Teachers, facility managers and administrators are encouraged to come view and tryout various pieces of furniture on display. While enjoying provided refreshments, we’ll have an informal discussion on impressions, needs and concerns for furniture in K-12 schools. Registration is complimentary for this event. One person cannot register multiple people, each person will need to log into their account. You must have a customer or member account to register. 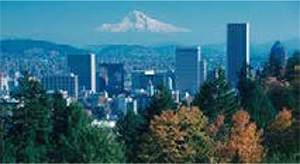 On April 11, 2015, A4LE hosted a Regional Readiness Forum at the Multnomah Athletic Club. The event was well attended with a panel style discussion on recovery. The outcome of the event was to form a strategy on how A4LE might work with other agencies focused on Resiliency. Since that date, a small task force from the Board has met with Jay Raskin of Salus Resilience ( https://salusresilience.com/ ) to explore the opportunity for further action. A4LE has also added resiliency to the international web site as a focus area supporting the mission of “Improving places where children learn”. The AIA has a resilience and adaptation initiative that may also fit into the framework for exploration. The outcome of this exploration is a recommendation to proceed with a forum in the Spring 2018 which places the focus on planning rather than recovery. Inviting the Southern Region to the forum to share lessons learned from the recovery in Houston and Puerto Rico is included in the event agenda. The diverse, historically rich Roosevelt High School campus is located in the St. Johns neighborhood of North Portland. The architecture links the dispersed elements of the school through a distributed commons, the central heart of the campus. The design adaptively reuses existing historic spaces for new programs, such as converting the original auditorium into a media center. This approach allowed for an upgrade to the latest systems and technology, while honoring the historic architecture with a fresh perspective. Roosevelt’s robust programs are supported by new additions that include a performing arts complex, gym, new classrooms for the school’s writing and social justice programs, and makers lab. We will not be touring the school, but the SchoolsNEXT presentation will be held at BRIC Architecture, Inc. at 5pm, if anyone would like to attend. Join us for a tour of Meridian Creek Middle School. Rebecca Seward-Beamer will be our guide. Please meet at the school entry. The tour will last about an hour, then we will start the SchoolsNEXT presentations. The Beaverton School District’s $680 million bond program is now in its fourth year. With a new middle school, a new high school, and two new elementary schools already open, the program is more than half complete. Staff, design professionals will share their experience in the creation of the 2014 educational specifications and application of the latest architectural trends to create inspiring learning environments – both through new construction and renovations. Parking: Free 2-hour parking located in the Ecotrust building lot, first come first served. Metered street parking available. Odyssey Middle School, formerly known as the Project-Based Learning MS Program, was offered to 6th and 7th grade students beginning in the fall of 2016 in the former Sharp Labs building on property purchased by the district in the summer of 2016. Now home to 6th-8th graders, the goal of the program is to prepare students for the new high school, under construction on the same site and opening in fall of 2018. Come tour the site and see how the office of the past became the learning environment of the future. As individuals dedicated to improving the spaces and experiences for student and adult learner, we invite you to join in on a rich conversation and exchange of ideas for school design principles and to see an inspiring environment that emulates concepts and ideas for great school environments that foster collaboration, creativity, communication, and critical thinking. Please join us for a tour of Citizen, Inc. on November 15th from 5:30 pm - 7:30 pm. 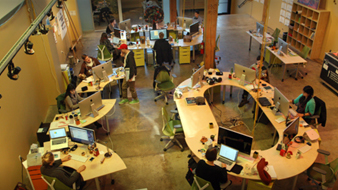 Citizen is a design and technology company devoted to making digital experiences that work harder for people. Space limited to 45 attendees so please sign up early. Earlier this year the Oregon/SW Washington Chapter hosted the inaugural 20 Under 40 conference for the Pacific Northwest Region in Portland. Each chapter in the region was asked to nominate 3-4 members under the age of 40 who exhibit leadership qualities and could represent their respective chapters at the event. Through collaborative events and increased familiarity, the younger generations of A4LE can strengthen the future cohesion of the region. In organizing the first 20 Under 40 conference, it was our hope that the event will be repeated annually at a new location within the region. Please join us at Brix Tavern for a night of socializing and a recap of this year’s event. We will describe each of the sessions that took place during the conference, summarize the content covered, and present the conclusions we reached along the way. Additionally, we will show off some fun pictures of the attendees/sessions and announce the location of next year’s conference! This casual social will aim to educate members over the age of 40 of the energy and drive present in the younger A4LE contingent, and inspire younger members to attend next year's event. This social is free to attend for all. The Association for Learning Environments Oregon/SW Washington Chapter is soliciting nominations of projects in Oregon and Southwest Washington area to tour. While our focus is K-12 schools, we're also very interested in receiving submittal for other learning environments that are inspirational and may potentially influence the approach to K-12 school design. Final selection of the tours will be completed by the Board in September. The remaining nominations may be considered additional tours or events. We invite you to experience the latest in virtual reality and school design. Participants will explore Reynolds SD elementary school while in design through the VR demo provided by Skanska USA in partnership with BLRB architects. Post Demonstration:	Join the Association for Learning Environments team, hosts and participants at Nel Centro for a no host spirit and networking opportunity. Nel Centro is three blocks West of Skanska adjacent to the Hotel Modera. Mahlum Architects designers sought to incorporate several elements to enhance teaching and learning in the 165,000-square-foot building. The structure has an open, airy feeling that's enhanced by abundant natural light, with its most dramatic effect in the stadium-like seating of the combination cafeteria and commons area. Classroom ceilings are sloped ever so slightly to further enhance the natural light benefits. Classrooms may be more distinctive than seasoned counterparts elsewhere in the district because of the huge dry erase boards on opposing walls as well as the energy-efficient LED lighting above and throughout the building. In addition to exposed X beams designed for structural resiliency, the building features other built-in surprises, such as an outdoor science education area with tools to measure rainfall through the building's drainage system. Also, QR code stations will be located in the area – as well as other parts of the building – so that teachers can offer a variety of evolving instructional material for students' downloading on smartphones and tablets. A solar array will be on the roof. The new Woodland High school is a 154,000 sf, comprehensive high school for 900 students which opened in the fall of 2015. To reinforce the interconnectedness of the diverse curriculum general classrooms are integrated with specialized programs, such as CTE, Art, Science and Special Ed. 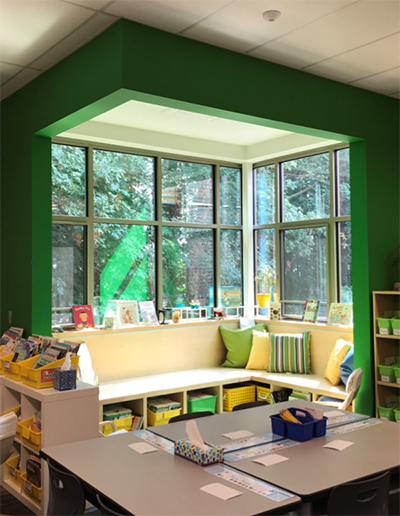 Classroom wings are organized around shared activity areas that provide a diversity of settings for students, teachers and community partners, as well as a direct connection to the outdoors and a central courtyard. Key design concepts include the idea of teaching and learning on display through transparency and providing different scaled “eddies” throughout the school to support social learning. The project team included McGranahan Architects, HDJ – A Division of PBS (civil), Murase Associates (landscape), Kramer Gehlen Associates (structural), BCE Engineers (mechanical and electrical), Halliday and Associates (food service), SSA Acoustics, and Skanska USA (general contractor). Funding for the project came from a $52.8 million bond approved by voters in 2012. Oregon Episcopal School's new 40,000 SF Lower School serves grades Pre-K through 5th grade and features innovative learning spaces with large flexible classrooms, dedicated group collaboration spaces, science lab, art studio, dining/gathering and performance space, and ample access to the outdoors. Located at entrance to the campus, the project creates a front door for the school and opens up new green space to serve as a commons for students of all ages. The school emphasizes an inquiry-based learning modeled inspired by the Reggio Emilia system, which needs environments that encourage exploration and experimentation – both indoors and out. This building is in the Path to Net Zero program of the Energy Trust of Oregon, targeting an EUI of 22. Measures incorporated to achieve these goals while still meeting a very modest budget included a high-performance envelope combined with natural ventilation for cooling, and high-efficiency VRF heat pumps for heat, and Dedicated Outside Air System with heat recovery for ventilation and some minor tempering. Efficient interior lighting and low-flow plumbing fixtures further lower resource consumption significantly. 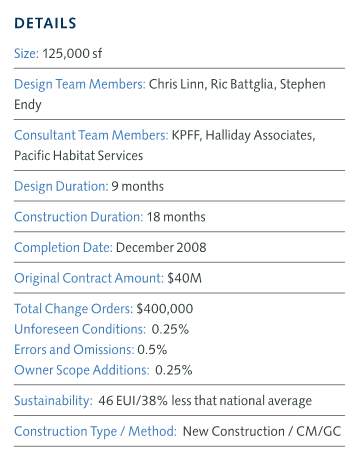 Overall, the project reduces energy consumption by 37% below the baseline system which met the 2014 Oregon Energy Efficiency Specialty Code requirements. 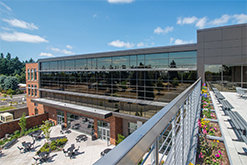 Students attending Clark College this fall in Vancouver, Washington will have access to enhanced learning opportunities in the new Science, Technology, Engineering and Math (STEM) building. Encompassing over 70,000 square feet, the $40 million dollar facility hosts biology, chemistry, engineering, physics and geology programs. The facility also features a drop tower for lab experiments, and a 6-table cadaver lab for human anatomy observation. Designed by LSW Architects in Vancouver, WA, the STEM Building offers abundant natural light, transparency into learning spaces, display and interactivity, and acoustically appropriate environments throughout. 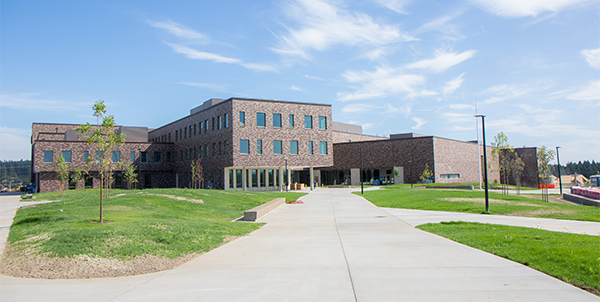 Housing 30 classrooms and science labs, the building also features one technology computer lab, indoor/outdoor study spaces, offices and support areas. Lake Oswego Junior High School: Their design of The Best of the Best School was original, creative, innovative and best covered all aspects of the planning process; community environment, learning environment and physical environment. Based on how they could improve their own school and site, along with collaborative learning, innovative green solutions, and safety and security was critical to the success of this project. The presentation included an excellent video that expressed their process and their vision. Come join us to discover the power of the design thinking process to creatively solve your biggest challenges! Design Thinking is a human-centered approach that takes on multiple forms to answering the question "what do we do next?" It is collaborative, empathetic, curious and adaptive. As architects, we are often charged with facilitating varied groups of diverse people, working together to solve complex problems in elegant and creative ways. This is the heart of design thinking. Most of all, design thinking is about recognizing the importance of everyone's story. So, how do we consider bringing design thinking to the forefront our education system? Join us for a workshop that will offer participants a first-hand experience in cultivating the design thinking process. Through the stages of discovery, ideation and experimentation, users will gain knowledge in how to approach generating and developing ideas and solutions for the problems we face every day in education. The reality of an active geologic past in the Pacific Northwest has become more clear over the last couple of decades – but our buildings and infrastructure have not yet caught up. Ensuring our regional resilience may well be one of the most important issues that we will face in a generation. This past January, on the 316th anniversary of the last Cascadia Quake, the Cascadia Region Earthquake Workgroup (CREW) sponsored a panel comprised of regional resilience and engineering experts to discuss "Seismic Safe Schools" and how our schools can play an intergral role in the earthquake resilience of our metro region. Building upon the conversation already begun, the Oregon/ SW Washington Chapter calls upon our membership and the greater community to participate in the next step of the dialogue. Don't miss this opportunity to help shape our region! We invite architects, engineers, contractors, industry partners, school district personnel, regional government representatives, and emergency services personnel to join us for a breakfast panel discussion and call-to-action! Let's understand the challenges, discuss the obstacles and opportunities, and together path a course to make a difference in the resiliency of our region. Specializing in resilience planning and design, Jay serves as the Vice Chair of the Oregon Seismic Safety Policy Advisory Committee and Chair of the National Institute of Standards & Technology's Community Resilience Panel. Since 2007 the State of Oregon Seismic Rehabilitation Grant Program (SRGP) has funded 24 schools for seismic rehabilitation. These grants are available to make the community safe, resilient and prepared for future events. An experienced structural engineer, Kent has traveled the world to study post-earthquake seismic performance to inform his work. Kent is the founding Chair of the Oregon Seismic Safety Policy Advisory Committee and was a team leader in the development of the Oregon Resiliency Plan. Scott manages an emergency management and homeland security program for the Clark Regional Emergency Service Agency (CRESA), encompassing Clark County and the 7 cities in the county. CRESA is a regional public safety agency that provides 9-1-1 dispatch, technology services and emergency management. SB447 provides $123 million in matching grant money for capital improvements in Oregon K-12 schools. The Office of School Facilities manages the program. This presentation will focus on what the Oregon School Improvement Matching Program is and all of its components. This will include discussions of the Technical Assistance Grants, Hardship Grants as well as the bond matching grants. It will cover the requirements of the bond matching grants and the results of the first round of distributions. It will also look ahead to future rounds and discuss what is still to be done in terms of the other parts of the program. Through the Association for Learning Environments (formerly CEFPI) we have been included in an opportunity to tour the elementary and middle schools in Happy Valley. A local firm, BOORA Architects, will be on hand to lead the tour. Happy Valley Middle & Elementary Schools is an unusual project as it is a 800 student MS attached to a 550 student elementary school that takes advantage of multiple stories to address a compact site (less than 14 usable acres), partially taken up by wetlands. Combining two schools in one also helped with some overlapping shared uses and other efficiencies. Internally, the school is organized around a welcoming, three-story central space that includes an informal stepped amphitheater that is used daily for casual performances and announcements. A variety of learning and teacher support spaces are organized around flexible "learning commons" for each grade level. Student spaces like the Art Classroom feature a high degree of transparency to put the creative process on display for the entire school to see. The entire facility is designed with layers of access and security to allow for community use after school hours. Common sense low cost sustainable strategies include optimized solar orientation, high performance envelope design, additional building insulation, carefully considered daylighting and a rainwater courtyard that also serves as a learning tool. In November of 2012, Portland voters approved a $482 Million dollar school improvement bond for Portland Public Schools. The scope of the bond included modernizations at three high schools – Franklin, Roosevelt and Grant as well as a complete rebuild of Faubion ES. In addition, improvement projects at up to 63 schools were planned. This work focused on roof replacements, incremental seismic improvements, science room upgrades and ADA improvements. Since the bond passed, PPS has completed summer improvement work at 5 schools in 2013. In Summer 2014 work was completed at 8 schools. This work included 3 of the 15 elevators planned for the bond. The design for Summer 2015 is nearly complete and ready to bid. Design for the modernization at Roosevelt and Franklin has gotten underway. Project delivery for these two projects will be via CM/GC. Lease Crutcher Lewis and Skanska respectively are the CM/GC contractors. Design is nearing completion with work to begin this summer. The replacement of Faubion is unique insofar as it includes a joint development agreement with Concordia University. 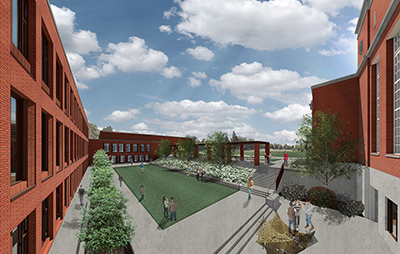 The school design is underway with construction slated to begin in Fall 2015. Jim Owens, Executive Director of the Office of School Modernization will provide an update of the 2012 bond work and provide a look ahead at the Grant High School modernization which is just getting underway. Please come join us for a informative evening – PPS's bond strategy is predicated on a 4 year cycle. The 2016 bond is around the corner. Hear how PPS plans to strategize the 2016 bond. Thank you to our sponsors, Dull Olson Weekes – IBI Group Architects, who helped make this event possible. In a time of tight budgets and economic pressures, schools and districts need to find ways to leverage resources to maximize the impact they can have both on capital improvement projects and ongoing operations and maintenance. Developing and procuring projects in the digital age provides us many such opportunities to gain efficiencies that can ultimately translate to more dollars in the classroom. Join a panel of architects, owners and contractors to discuss the variety of ways digital tools are being used during the design and construction phases as well as for ongoing operations and maintenance to capture those efficiencies in capital and human resources. From conveying ideas to owner user groups efficiently, performing digital clash detection during design to avoid costly construction change orders to providing O&M staff with immediate access to information on existing equipment, these tools are combining to create a more efficient workflow for all parties. In addition to the presentation and panel discussion, we will hear an update from Jim Owens with Portland Public Schools, about current projects underway and being planned as part of their bond. 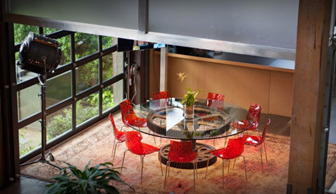 This is a FREE event and attendees will receive 2 AIA CEU. The Oregon/SW Washington Chapter invites you to attend the student team presentations for the chapter level finals of the School of the Future Design Competition. The School of the Future Design Competition offers an opportunity to illustrate the kind of creativity that students bring to the planning and design process. The annual international competition, open to middle school students, challenges student teams to design their schools to enhance learning, conserve resources, be environmentally responsive and engage the surrounding community. School of the Future Design Competition provides an opportunity to highlight the importance of well planned, healthy, high performance, safe and sustainable schools that enhance student achievement and community vitality. This is a FREE event and seating is limited, so be sure to RSVP early! This event focuses on the Sandy High School's story, in creating a building that embraces sustainability and energy efficiency, while creating architecture of place. 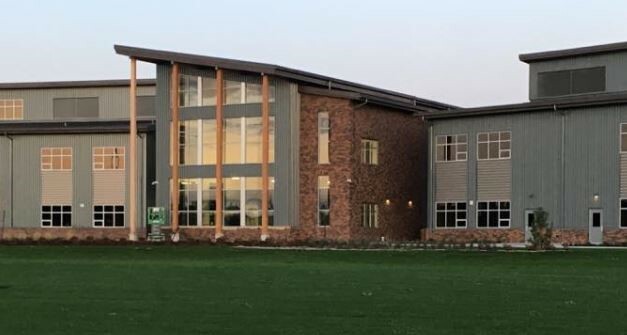 The school district established an ambitious goal toward environmental stewardship and many features were integrated into the design to align with their commitment to reach a LEED Gold rating. This event will discuss the process and strategies adopted for the project in achieving these goals, along with information about optimizing energy performance for this climate and place, and the associated energy efficiency incentives. At this school, the art and wonder of learning is evident everywhere and integrated within the students' everyday academic and social life. The learning experience extends to the exterior where the connection between inside and outside has been enhanced by the fact that the grounds surrounding the building are available for a variety of educational activities. Both building and grounds are teaching tools. The school's design is inspired by the classic Roman Town Plan, where a public square at the intersection of two axes allows the students to focus on the social and learning experience, rather than on having to navigate a large campus. The school has received various awards including the AIA Committee on Architecture for Education Award of Excellence 2013 and the A4LE National Project of Distinction 2013. Thank you to our sponsors, Dull Olsen Weekes - IBI Group Architects and Oregon Trail School District, who helped make this event possible. This event focuses on the importance of Science, Technology, Engineering and Mathematics (STEM) education in our schools today as we prepare our future workforce. STEM education can be instrumental in creating critical thinkers and enabling the next generation of innovators. The Henrietta Lacks Health and Bioscience High School (HeLa High) is a rare example nationally of a school focused on health and bioscience. 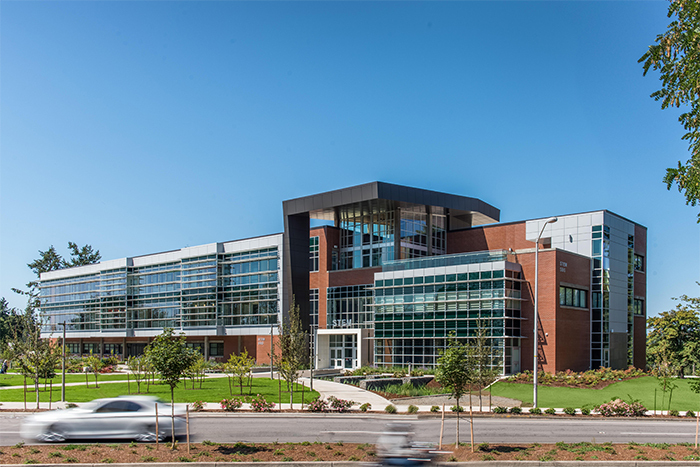 LSW Architects and Evergreen Public School staff worked with community health partners at PeaceHealth, Legacy, Providence, Kaiser, Clark College, and WSU Vancouver to design the 69,000 sq. ft. high school adjacent to the PeaceHealth Southwest Medical Center. The goal of HeLa High is to prepare local students for high-demand, living wage jobs in the fastest growing industry in the United States. The school program and building design was focused on providing students with hands-on experience, such as a working nursing clinic. Other learning opportunities are found in health informatics, bio-medical engineering, a pharmacy, bio-tech, advanced biology, and advanced chemistry. The design facilitates after school use by health industry partners by sectioning the building in such a way as to allow partial use in the evenings. 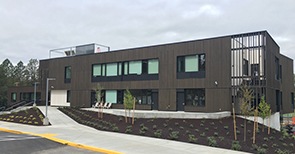 HeLa High is the first school in Evergreen Public School to meet Washington Sustainable Schools Protocol (WSSP), blending sustainable design and construction measures into a state-of-the-art technology facility. This is a FREE event and attendees will receive 2 AIA CEU. The second annual Green Apple Day of Service will be taking place on Saturday, September 28, 2013. At one of last year's events in Portland, volunteers gathered at Jason Lee K-8 School in NE Portland to create an outdoor learning garden, and built planters, a potting table and gravel pathways to fill what had been a neglected courtyard space. Over 50 volunteers came, left tired but very satisfied. This year, AIA Portland Schools Committee, AIA Portland COTE, Cascadia Green Building Council, Association for Learning Environments and AIA Vancouver have teamed up with three schools and their communities to organize these projects. Jason Lee K-8 School in Portland will host Phase II of their "Learning Garden" project, which includes the addition of berry, flower and herb, and native species gardens, along with benches, trees and a new pathway. Hough Elementary School in Vancouver, WA, will be doing Phase I of their "Outdoor Classroom Project: Our Backyard Field Trip", building new gravel pathways, benches, a stage and a teaching area, and planting bulbs. Roseway Heights K-8 School in Portland will doing some work on their playground area, their internal courtyard (preparing it for a future phase of transformation), and general clean up around the school grounds. Apart from volunteering for the day, we are also seeking funds and materials to help complete these projects – for more information or to find out how to donate funds or materials to help these projects, contact Chris Brown, Heather DeGrella or Katrina Shum Miller. Go to mygreenapple.org to check out these events and others being organized as part of this international day of service.